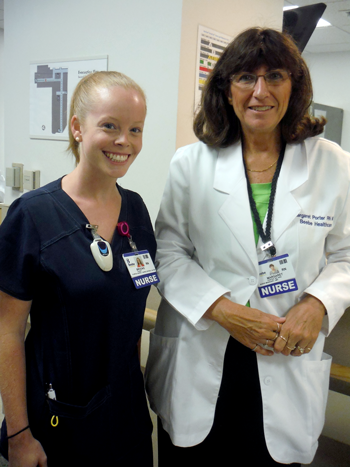 Brooke Talbot started at Beebe Healthcare as a medical-surgical nurse in August. Brooke graduated from Delaware Technical Community College with her Associate’s Degree in Nursing this past spring. “I am honored to now call Beebe my home and continue to follow in my grandmother’s footsteps,” Brooke said. Shown are Brooke Talbot, left, and Margaret Porter, right.